The National Endowment for the Arts research papers examine an agency of the U.S. government that funds artistic projects. 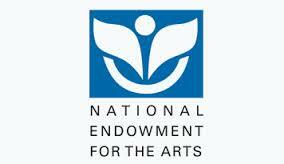 Research papers on the National Endowment for the Arts can focus on any aspect of this group. Educational and art related topics can be focused on by the writers that specialize in researching the National Endowment for the Arts. The National Endowment for the Arts (NEA) is an agency of the U.S. government, one that funds artistic projects. The NEA was created in 1965 as an independent agency, and has sponsored more than 128,000 grants during its history, funding more than $4 billion towards the arts in America. The NEA promotes artistic excellence, creativity and innovation for the nation. The National Endowment for the Arts has occasionally come under attack by conservatives, including President Reagan, who attempted to abolish it in 1981. In 1989, conservative Christians, led by Pat Robertson, objected to an NEA sponsored exhibit by photographer Robert Mapplethorpe. During the 1990s, Congressional Republicans again attempted to abolish the NEA, along with the National Endowment for the Humanities and the Corporation for Public Broadcasting. Humanities - Humanities research papers are custom written and discuss the varied branches of learning that investigate and explain diverse aspects. Jerry Bergonzi - Bergonzi also teaches students awarded by the National Endowment of Arts. Bergonzi has gone further than teaching students in person. Liberal Arts - The liberal arts have seen a decline over the past decades, as educational funding and administrative goals take a front seat. Importance of Art Education - Art education is an important part of the education curriculum as can be reported in research papers from Paper Masters. Paper Masters writes custom research papers on The National Endowment for the Arts and examine an agency of the U.S. government that funds artistic projects.